Fire alarms are one the most important systems in your building because its job is to save lives and property. 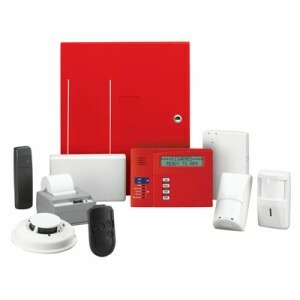 To help ensure your building is safe, it is crucial that the fire alarm system is working properly. That’s why it’s important to choose a fire alarm company that has the experience and expert knowledge to design, install, inspect and repair your fire alarm system correctly. At Executive Security, we service and inspect all brands of fire alarm systems and install systems manufactured by Honeywell and Bosch. Our technicians are state licensed and extensively trained to stay up to date on current code requirements and installation practices. When you choose Executive Security to install, inspect, service, or upgrade a current fire alarm system, you can be assured it will be performed with the highest industry standards from our expert team. Would you want anything less when it comes to the safety and security of lives and property? Talk to us today to make your business safer.